Heavy gunfire erupts in Ivory Coast as soldiers mutiny continues – Royal Times of Nigeria. Heavy gunfire has erupted in Ivory Coast’s two biggest cities, as a mutiny in the army enters its fourth day today. 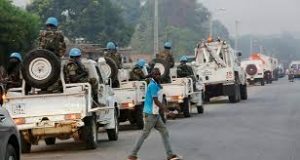 Report says the mutineers blocked roads outside a barracks in an affluent neighborhood of Abidjan, the commercial capital. 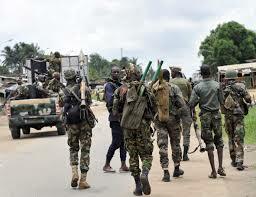 Troops loyal to the government are said to be heading for the second city, Bouaké, where shooting has also been heard. Armed forces’ chief of staff General Sékou Touré has vowed to end the mutiny, which was triggered by a pay dispute. Many of the mutineers are former rebels who had helped President Alassane Ouattara take office in 2010 after his predecessor Laurent Gbagbo refused to accept defeat in elections. They first launched a mutiny in January and forced the government to pay them about eight thousand dollars each in bonuses which they said was owed to them. They were due to receive a further payment this month and several thousands mutineers were unhappy that they were not consulted when on Thursday, a spokesman for the group said they would drop their demands for the remaining money. Correspondent says the government is running short of money because of plummeting cocoa prices, making it difficult for it to meet the demands of the mutineers.